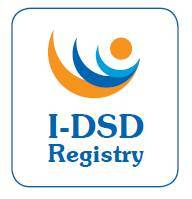 Registry participants or their guardian (if under 16) are able to access a portion of their record on the I-DSD/I-CAH Registry. Access to the anonymised data is via a secure login page on the Registry website (registry.i-dsd.org or registry.i-cah.org). Access is set up according to the following step-by-step process. For access at other times, use the following link: http://registry.i-dsd.org/patient/index.action and insert username (e-mail address) and password.